Every so often in the health and fitness world there comes along an elixir that can reputedly increase an athlete&apos;s muscle mass, stamina, speed, and strength, while boosting their metabolic rate and staving off hunger to aid weight loss. The one that&apos;s supposedly been ticking all the above boxes for years is colostrum milk. Colostrum is produced by female mammals late in the gestation period and for the first few days following birth. In cows, bovine colostrums is usually produced in the first four days after a calf is born, and its main purpose is to ensure the complete development of the young animal&apos;s gut. In addition, colostrum reinforces the newborn&apos;s immunity to infection by providing antibodies, antimicrobials, immunoregulation, and antioxidative factors. 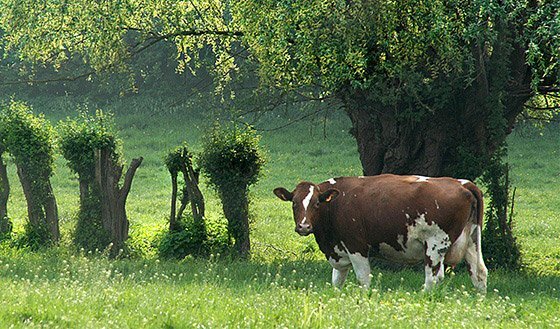 Before the advent of antibiotics, bovine colostrum was the main source of antibodies used to fight infections. The reason? Antibody levels in colostrum can be 100 times greater than that of regular milk. Recently researchers have developed hyper-immune bovine colostrum, a special type of colostrum which contains antibodies targeted at specific diseases. However, studies have shown its ineffectiveness, and it has also been shown that natural bovine colostrum actually contains more antibodies than the developed type. Some athletes and coaches also use colostrum because of its promise as an ergogenic aid to enhance performance in high-intensity exercises, in addition to its utilization in the medical community. 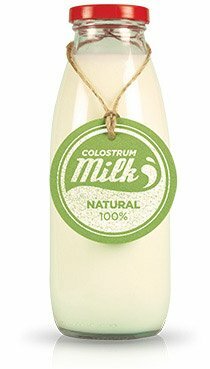 But what does the science say about colostrum? Well, a key component of colostrum as an ergogenic aid is its high IGF-1 (insulin-like growth factor) content. The importance of IGF-1 in muscle growth can&apos;t be understated because of its ability to activate cell growth. However, research is split down the middle in regard to colostrum&apos;s ability to raise IGF-1 levels. A Finnish study1 in 2002, conducted by Dr. Antii Mero and associates reported that colostrum did in fact raise the body&apos;s levels of IGF-1. However, a more recent study by a Dr JD Buckley refuted that claim and instead found that colostrum actually increased anaerobic power. That result seemed to be substantiated by a study carried out by a Dr Z. Hofman when he gave colostrum to elite field hockey players and noted their marked improvement in a number of speed tests and time trials. Another study6 compared the performances of professional cyclists given 10 grams of whey protein per day to a group who received the same amount of colostrum over an eight-week period. Cyclists using colostrum reported a greater improvement in a 40 km time trial. They also showed better stamina levels and quicker recovery times. Cyclists using colostrum reported a greater improvement in a 40 km time trial. This once again brings up the question of whether colostrum has more benefits to offer with strength-building (anaerobic) or stamina-boosting (aerobic) exercises. In another study8 conducted on elite female rowers by Dr G.O. Brinkworth, colostrum appeared to have no effect on performance. However, an increase in the body&apos;s buffer capacity was observed. Muscle buffer capacity is the ability for muscles to neutralize acids that accumulate in them due to high-intensity training, therefore fighting off fatigue. The authors of the research theorize this could be the result of an increase in fast-twitch muscle fibers which, as we all know, are predominantly linked to anaerobic exercise. The weight of evidence would seem to suggest that colostrum offers consistent performance improvement in activities that involve the anaerobic energy system. Plus, it conclusively appears to shorten recovery times. The next question we need to address is: What is the ideal daily dosage? The recommended serving size on virtually all commercially available colostrum supplements ranges from 3-to-6 grams. However, the lowest dose shown to work in studies is 10 g, while the greatest improvements came as result of subjects consuming 20 g daily. For instance, in the Hofman study, it was noted that colostrum supplementation at 10 g per day didn&apos;t illicit a response at eight weeks whereas, in his previous research, subjects demonstrated an improvement in performance at eight weeks after consuming 20g per day. This is backed up by research9 conducted by Dr. Jose Antonio at the Sports Science Lab at the University of Delaware; it noted an increase in the body&apos;s lean mass in subjects who took 20 g of colostrum daily. Furthermore, colostrum has positive effects on body composition in addition to its ability to enhance the body&apos;s natural defense against infections. It is worth reiterating that the lowest dose proven to be effective in studies was 10 g per day which took longer than the normal eight weeks to show any effect. The majority of studies tend to use 20 g per day with this dose, showing positive effects at the eight-week mark. But, all potential benefits aside, money spent on colostrum would be a waste if you don&apos;t have a solid nutrition plan in place. Mero A, et al. (2002) IGF-I, IgA, and IgG responses to bovine colostrum supplementation during training. Journal of Applied Physiology 93(2):732-9. Brinkworth GD, Buckley JD, Bourdon PC, et al. Oral bovine colostrum supplementation enhances buffer capacity but not rowing performance in elite female rowers. Int J Sport Nutr Exerc Metab . 2002;12:349-365. Hofman Z, et al. (2002) The effect of bovine colostrum supplementation on exercise performance in elite field hockey players. International Journal of Sports Nutrition and Exercise Metabolism 12(4):461-469. Coombs JS, et al. 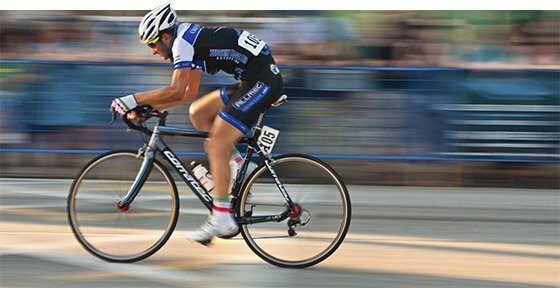 (2002) Dose effects of oral bovine colostrum on physical work capacity in cyclists. Med Sci Sports Exercise 34(7): 1184-8. Brinkworth GO & Buckley JO. (2004) Concentrated bovine colostrum supplementation reduces the incidence of self-reported symptoms of upper respiratory tract infection in adult males. European Journal of Nutrition 42(4):228-32. Antonio J, et al. (2001) The Effects of Bovine Colostrum Supplementation on Body Composition and Exercise Performance in Active Men and Women. Nutrition 17:243-247.